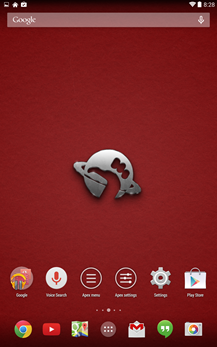 It looks like the "OK, Google" search hotword has now become a standard feature for advanced Android launchers. 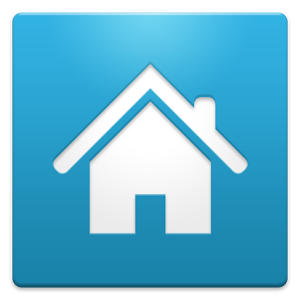 Nova Launcher added the search function in its 3.0 update earlier this month, and now its biggest competitor, Apex, has followed suit. 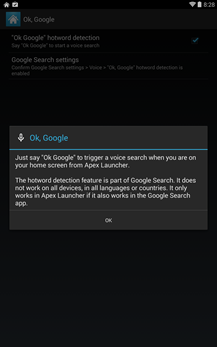 Users who are on Android 4.4 can enable the voice-activated search function in Apex Launcher 2.4. 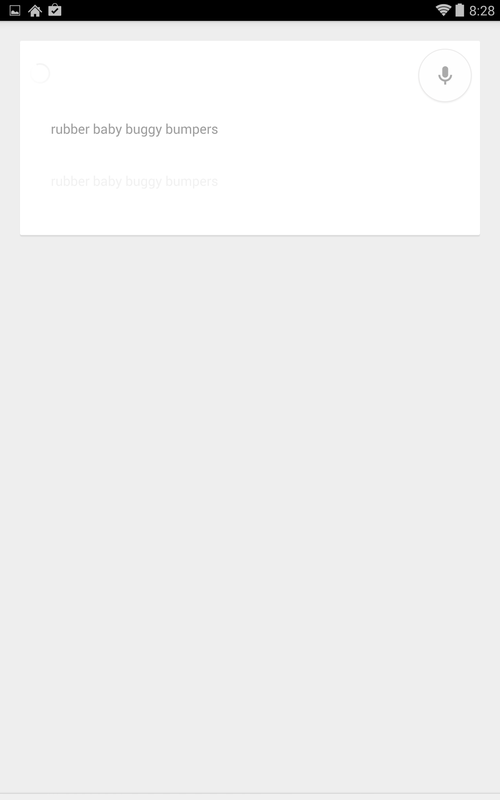 Earlier versions, sadly, cannot access the functionality - you'll have to search with your fingers like some kind of sad troglodyte. Other changes for 2.4 include support for the new dynamic calendar icon in Today Calendar, which changes based on today's date, new small or hidden group/folder tabs in the app drawer, notification badges in the app drawer (for those who've purchased the $4 Apex Pro upgrade), and smoother transition effects. The list of updates isn't as dramatic as some of the previous ones, but advanced users who love to get their customization on will appreciate it. 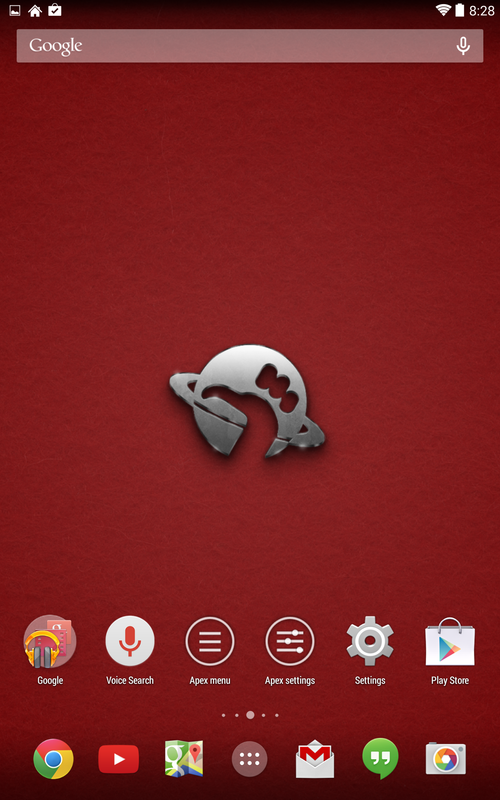 Apex works with Android 4.0.3, and the main app is a free download. The OK Google hotword is dependent on the Google Search app, so you'll need to have that installed and set up before it will work. 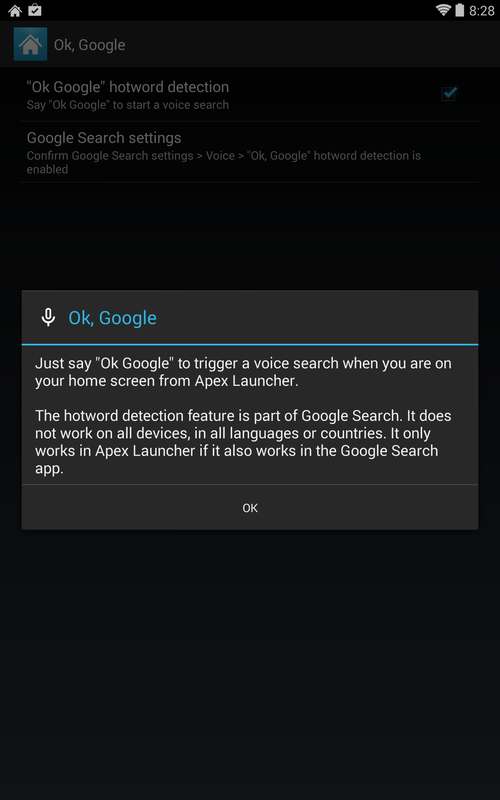 Owners of the Moto X and 2013 DROIDs, take note: I've found that launchers with OK Google hotword detection can interfere with Motorola's device-wide "OK Google Now" command, so it's best to disable it in the launcher settings.